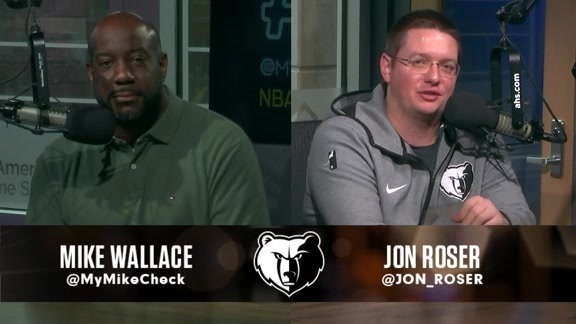 MikeCheck: Grizzlies Draft Files – Michael Porter Jr.
MEMPHIS – The Grizzlies are closing in on the June 21 NBA Draft with their options as wide open and diverse as the talent among projected top players on the board. As pre-draft workouts continue and potential trade scenarios are discussed regarding what the Grizzlies will do with the No. 4 overall pick, we’ll examine the case of eight potential franchise-altering players in the draft who are – or should be – under strong consideration for that selection. “(I’m) someone who just loves the game. Off the court, I have fun and love to be around people. But I’m about my business when I’m on the floor. The main thing with me declaring pro was that I wanted the best trainers, the best nutritionist, the best everything to get me as prepared as possible … Even my agent said he’s seen multiple guys come back way more athletic than ever. It was a big deal, obviously. But it’s not going to hold me back at all.” – Michael Porter Jr. on his personality, preparation and mindset entering the draft after recovering from back surgery. I’m just a position-less player who can do a lot of things on the floor... When I get on the court and work out, (teams) will see for themselves that I’m feeling great. I just can’t wait to show everybody how ready I am. No one has done a better job of marketing themselves and generating buzz and interest about their draft stock than Porter. Two weeks ago, the silky-smooth forward wasn’t even projected in ESPN’s Mock Draft TV show to go among the top 14 picks in the lottery. Now, less than two weeks from draft night, there’s speculation in some league circles he could go as high as the No. 2 pick. Representatives with one team that attended Porter’s workout last Friday reportedly declared he’s a top-three talent. Back surgery and that understandably underwhelming college production aside, Porter boasts he’s the best player in the draft. He vows to prove he’s every bit as dominant a prospect as he was when he emerged as the No. 1-rated prep player in the country a year ago. But that was before he aggravated a lingering back injury just minutes into Missouri’s season opener in November and underwent surgery. Porter, who played only three games in college, took his first significant step toward convincing top lottery teams that he’s the prize of the draft during that private workout run by his agency in Chicago. He’s scheduled to hold another more advanced workout this week, exclusively for lottery teams. More detailed information regarding his medical reports are also expected to be available to teams. This entire process for Porter is about pushing his medical history behind him and putting his versatility and superstar potential on display. 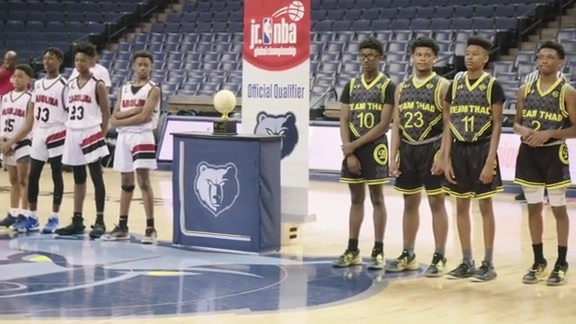 His college coach, Cuonzo Martin, described Porter as a cross between Kevin Durant and Kevin Garnett when at the same stage of their respective careers. If healthy and at minimum risk of residual back issues, Porter would slide right into the small forward spot in a Grizzlies’ starting lineup that would also likely feature Mike Conley, Dillon Brooks, JaMychal Green and Marc Gasol. Porter’s scoring potential and athleticism should quickly boost an offense that ranked at or near the bottom of the 30-team league in multiple categories. He’s a gamble. No question about it. And Wallace has established a reputation over four decades as an executive for having a riverboat gambler streak in him. There’s nothing more he loves than basketball refurbishment projects. Some have workout out brilliantly. Just think Zach Randolph and Tony Allen. Some clearly haven’t. Try not to think too long about Hasheem Thabeet or Jeff Green or Chandler Parsons. And at this moment, there’s really not much gray area when it comes to Porter. He’ll either meet lofty expectations and live up to the hype, or he’ll underachieve and spend the bulk of his NBA career chasing the ghost of a prospect who was among only five prep players (Dwight Howard, LeBron James, Chris Webber, Alonzo Mourning) in history to win MVP of the McDonald’s All-American Game in addition to being named Gatorade and Naismith Player of the Year. Given the Grizzlies’ recent track record – having cut two first-round picks and struggling to get a return on the $94 million free-agency investment in Parsons – there’s enormous pressure to get this lottery pick right. There will be far more stable and less risky options on the board at No. 4 than Porter, who showed extreme rust in his two postseason tournament games after returning from surgery. Medically, the Bulls have been the only team commissioned by Porter’s agency to conduct his medical evaluation so far. They’ve shared those initial reports with other teams, but if the Grizzlies’ medical staff can’t poke and prod Porter themselves before the draft, that could be a potential red flat. Porter admits his own patience has been tested along the way. Porter is a ready-made scorer who can transition to an NBA rotation and get buckets immediately upon arrival. He’s a big-market personality with big-time potential. His type usually doesn’t land on small-market teams outside of the draft. Porter can be to Memphis what Donovan Mitchell is to Utah, Damian Lillard is to Portland, Anthony Davis is to New Orleans and Giannis Antetokounmpo is to Milwaukee. In a vacuum, and in a more stable situation with fewer misses in the recent past, this would be a no-brainer for the Grizzlies. They’d get a No. 1-level talent at the No. 4 pick. But it doesn’t work that easily. The Grizzlies and Porter have a history of recent “back” issues that can’t be discounted. The Grizzlies don’t have to look too far back to find missteps that have hindered them in some ways. And on draft night, Porter will be exactly seven months removed from the Nov. 21 microdiscectomy surgery to repair his L3 and L4 spinal discs. For Memphis, the decision with the No. 4 pick could very well come down to a choice between Porter, Duke’s Marvin Bagley III, Michigan State’s Jaren Jackson Jr. or Real Madrid’s Luka Doncic. Two of those four are locks to be taken by the Kings at No. 2 and Hawks at No. 3 after the Suns, as expected, select Arizona’s Deandre Ayton at No. 1. This appears to set up as a win-win scenario no matter who falls. The Grizzlies probably should make the safe and solid pick. But they’ll be highly tempted to sell out for the potential superstar in Porter if he’s not snagged ahead of their selection.